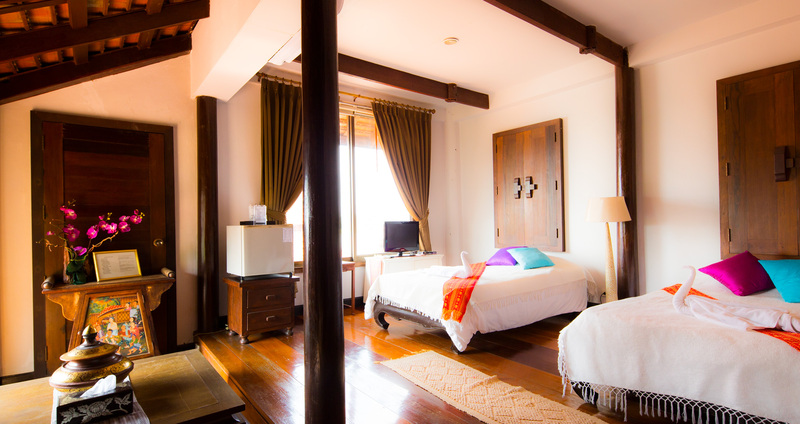 A very typical Thai Design room with romantic out door bath. "Ruarn" in Thai means "Home". 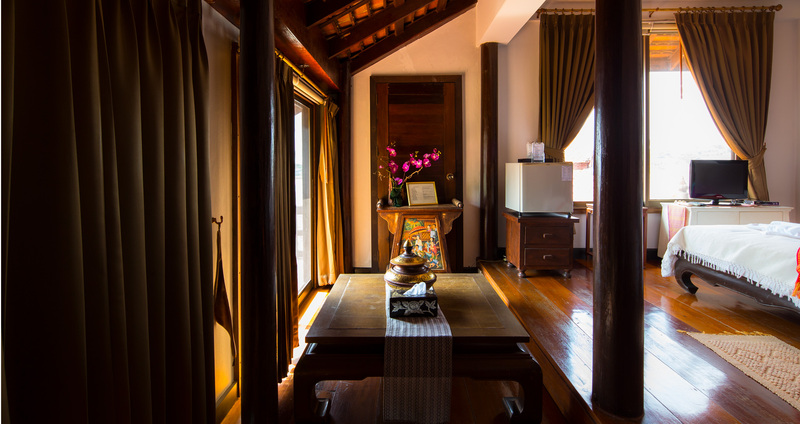 Here is a typical room made of teak, where Thai architecture starts from the entrance door of dramatic figures gilded with gold leaf. 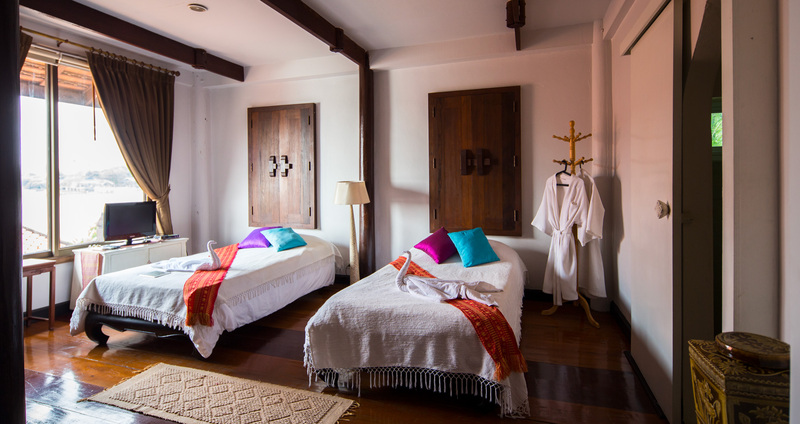 The style of windows with teak wood carvings and paintings on the ceiling will make you feel like you are in the midst of historic Ayutthaya. The shower area has a very romantic setting outdoors under the moon light. 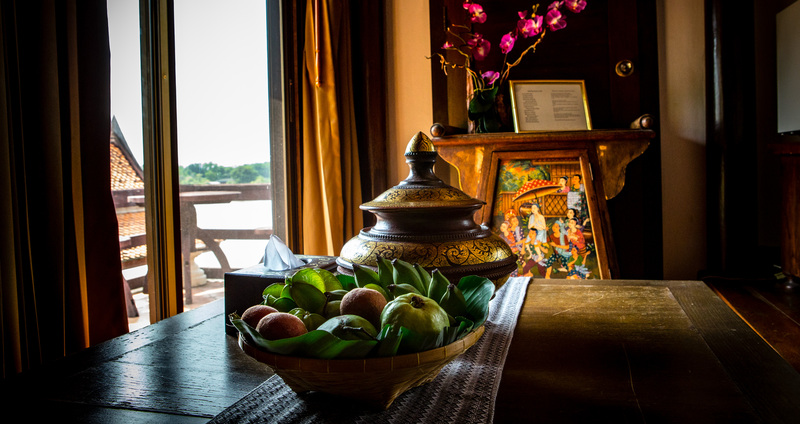 The big tree in front of the room with fragrant yellow flowers is called "Kradung-nga" where under the shade you can relax while watching the river view.